Your morning coffee made special! With this very personal photo mug, you are sure to have the right start to the day! The mug made of high-quality ceramic can be printed for left and right handers with your favorite image, plus the special coating means your mug is suitable for the dishwasher. 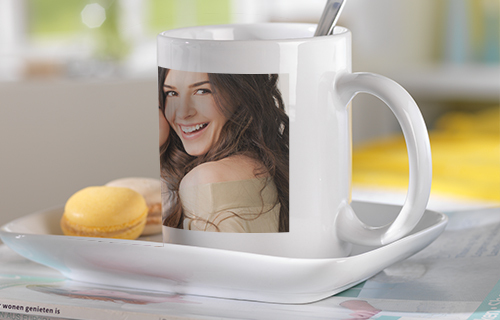 With our attractive design templates, make your photo mug an instant work of art!